To encourage the adoption of sound risk management and security practices by CSPs through certification, the Multi-Tier Cloud Security (MTCS) Singapore standard was developed under Information Technology Standards Committee (ITSC) for Cloud Service Providers (CSPs) in Singapore. The Multi-Tier Cloud Security (MTCS) Singapore Standard (SS584) is the world’s first cloud security standard that covers multiple tiers of cloud security. Cloud Service Providers (CSPs) can apply MTCS to meet a variety of cloud user requirements, ensuring the security of sensitive data and continuity of critical business functions. 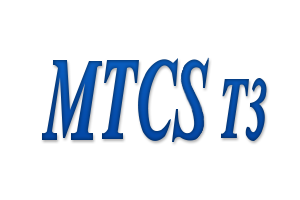 MTCS has three levels of security, Level 1 being the base and Level 3 being the most stringent. Alibaba Cloud obtained the highest level of security: Level 3.